The Customer, renowned for its industrial design and technology innovation, was poised to launch a major new automobile line into the global marketplace. The company’s future hinged on the success of this flagship launch and its ability to establish and maintain quality control protocols for the production processes of the new line. One key component of the vehicle is its aluminum struts. Struts are large structures that are typically surrounded by coil springs, and are an integral part of a car’s suspension system. In conjunction with shock absorbers, their function is to prevent the car from bouncing and bumping on poor quality roads, providing a smooth and comfortable ride. In addition, struts impart a level of control for the driver to help keep the wheels from skidding off the road. 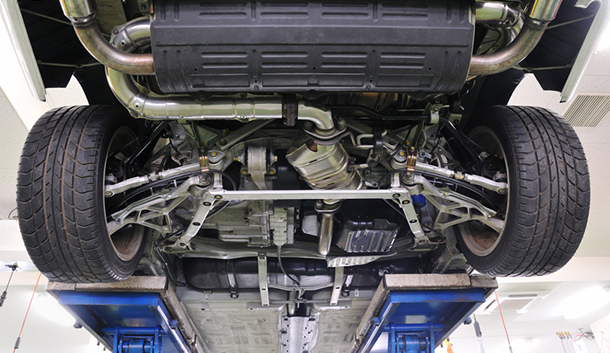 The aluminum struts for the Customer’s automobiles are produced using an aluminum high-pressure casting process. During production, aluminum components can be subject to defects such as cracks, porosity, or shrinkage. The Customer needed to be sure that this critical vehicle component met both its own internal quality criteria for strength and durability, as well as external criteria such as ASTM. Adaptive Energy designed a solution that provides on-line, non-destructive testing of the aluminum struts. The solution incorporates proprietary iPx technology to capture X-ray images in digital photo format in real time and software that allows a user to control the camera. The iPx image processor was designed and developed by Adaptive Energy to provide digital technology integration into new and existing real‐time X‐ray systems. The iPx system uses the latest, full-frame rate camera technology and matched optics. Offering a vast performance improvement over early analog-based camera systems, iPx is also cost-effective, using PC‐based software that allows the user to control the camera, and including a processor that can hold three times more imaging data than typical analog based X-ray systems. 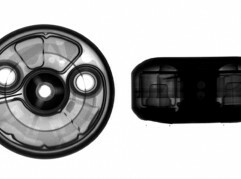 With the integrated X-ray and iPx solution that Adaptive Energy created, the Customer is able to view X-ray images for immediate quality verification of its aluminum components, and capture documentation to satisfy industry and government standards. The new automobile line was launched with significant fanfare and has received highly positive industry reviews and buyer satisfaction ratings.